It seems such an innocuous question. If you have a sentence that starts with the phrase I'm sorry do you put a comma or a semicolon after that phrase? I'm sorry, the restroom is out of order. I'm sorry; you can only pay in cash. I'm sorry, I'm divorcing you and moving in with your stepsister. She walked up to the door; she rang the bell. He drank the glass of wine; he threw the glass into the fireplace. What is different about the "I'm sorry" example? It turns out that a phrase like "I'm sorry" has a special status. It is more of an introduction to a thought than a standalone sentence. I'm sorry, Peter is ill and I can't come either. The book is very popular; even so, I don't like it. In the first case the "I'm sorry" can be used as an introduction to the main part of the sentence. In the second, a semicolon is used because these are two wholly separate thoughts. I�m sorry, the position has already been filled. There is no way I could ever do that, Janet. You need to get ready for your lobotomy, Brad. So it doesn't have to do with the "I'm sorry" as much as it has to do with the name of the person being spoken to. One could certainly write the phrase with a period rather than a comma. I'm sorry, I thought I had killed you. Let me try again. I'm sorry. I seem to have missed your jugular vein. To me, there's a very different feel to those. With a comma the phrases are connected together. It's one whole thought. With a period they are first saying they're sorry. That hangs on its own. Then they are adding in some additional information. So the two constructions are not equivalent. So that construction presents a situation where there isn't any hedging or trying to make excuses or so on. Having the "I'm sorry" on its own is important. But in novels (as in much of real life) the "I'm sorry" often comes with hedging, or bartering, or additional thoughts. 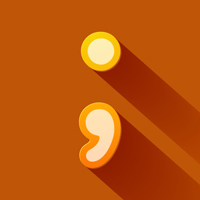 In those cases having a comma connecting to them is more than just grammatical - it's insightful into the underlying emotion. It's worth noting that there are cases where "I'm sorry" doesn't have anything at all follow it. That's when the word "that" (and similar words) are used. I'm sorry that I drew with markers on your forehead. I'm sorry that I slept with your sister. Twice. I'm sorry that I stuffed an ant into the raspberry and then had you eat it.